Marketing Information: Improve the organization and appearance of your rack while maintaining airflow. 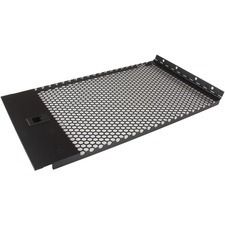 You can improve the appearance and airflow of any standard 19-inch server rack while still enjoying easy access to unused space, using this 6U hinged blanking panel. This TAA compliant product adheres to the requirements of the US Federal Trade Agreements Act (TAA), allowing government GSA Schedule purchases.